Tusla -Child and Family Agency welcomes the introduction of the ‘Child Care Amendment Act 2015’ which will lead to a strengthened legislative basis for the provision of aftercare services. Aftercare services are in the main an adult service but are integral to the continuum of alternative care. Aftercare services are support services that build on and support the work that has already been undertaken by many including, foster carers, social workers and residential workers in preparing young people for adulthood. Everyone has a key role to play in preparing young people to reach their developmental milestones. Therefore the provision of aftercare services should not be seen as an event, but a service that builds on the skills and capacity that young people have learned and developed during their time in care. 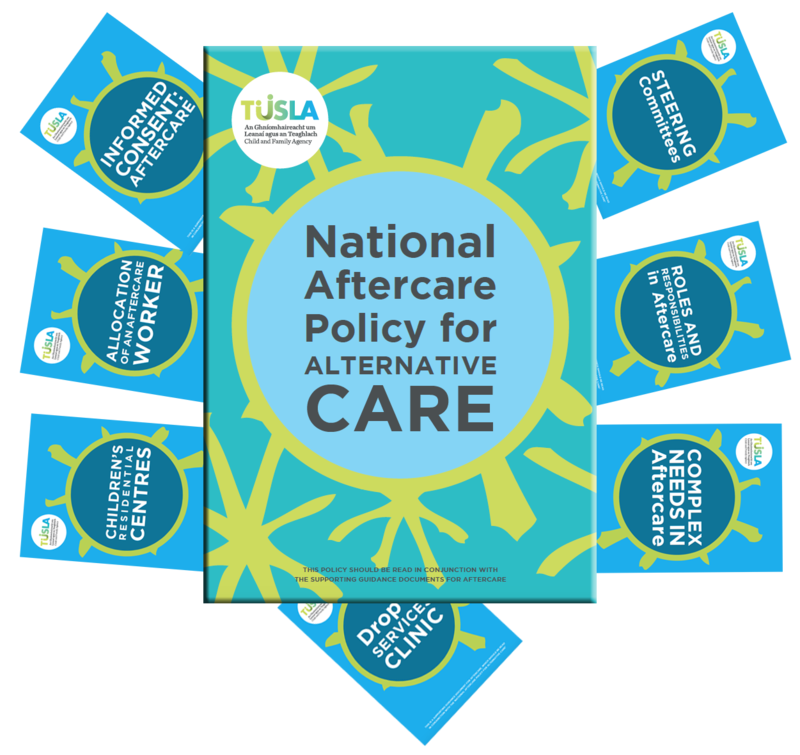 Tusla have undertaken an extensive review of policy as it relates to Aftercare Service Provision and developed a suite of policies and guidance documents to support the delivery of aftercare services, available below.